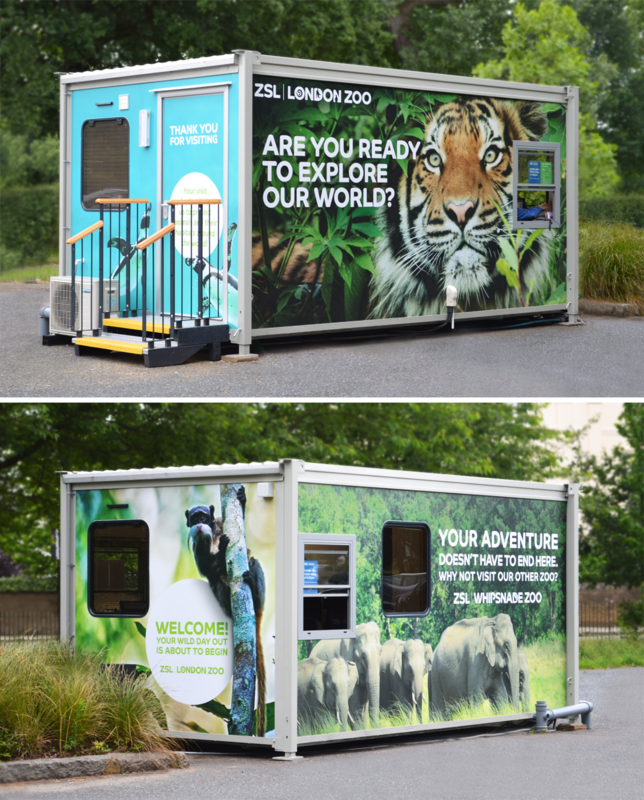 We were recently asked by our client, ZSL to design the brand messaging for the entrance ticket office at the London Zoo car park. The car park is many visitors first experience of the Zoo and the ZSL brand and it was critically important to develop a user journey and design that pushed both Zoo’s (ZSL London Zoo and ZSL Whipsnade Zoo) whilst also promoting ZSL’s wider, global conservation work. The Allotment transformed the portakabin and payment station to give a big, bold welcome to everyone visiting. It builds anticipation, understanding and excitement of ZSL London Zoo as you enter, encouragement to visit ZSL Whipsnade Zoo when they leave and importantly, builds brand awareness for all those members of the public walking by, to keep ZSL at the forefront of their minds. This is just one of many exciting developments to come with ZSL & The Allotment.